The low-fusing silicate glass ceramic was developed based on latest material science findings about firing on press objects from lithium disilicate. 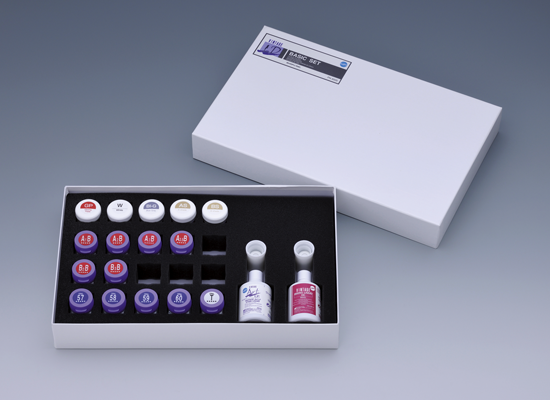 There are dentine shades in classical colours as well as various effect shades and translucent and opalescent incisal shades available. The combination of the powders offers unlimited options for the production of aesthetic restorations in the cut-back or layering technique. Vintage LD is low-fusing and can be fired at 800 °C or less. * VITA is a registered trademark of VITA Zahnfabrik, Bad Säckingen, Germany.